Fifty years ago, millions of Americans were petrified at the prospect of being surpassed by the Communist Darth Vader when the Soviets launched Sputnik into the abyss. In the same year, passions were inflamed when nine black teenagers started attending a formerly all-white high school in Little Rock, Ark. During this turbulent time, pension fund managers and other investment professionals on Wall Street and around the country were grappling with a far more prosaic predicament. How, they wondered, could they distinguish the good money managers from the awful ones? It was hard to evaluate money managers back then because there was no satisfactory way to compare a portfolio that belonged to a stock picker hunched over a ticker tape in San Diego with a guy who was following his hunches in Philadelphia or Chicago. Instead, institutional investors and others interested in performance results pretty much had to wing it. In the spring of 1957, however, the Standard & Poor's 500 Index arrived to resolve this conundrum. The index, which investors have now used for five decades, changed the way we measure investment success. This granddaddy index, and the countless benchmarks that followed (S&P alone now maintains more than 100,000 indices), also led to the eventual creation of index funds, which was another investing breakthrough. Standard & Poor's assembled a benchmark that contained 500 of the biggest and most highly respected companies in the country. The index tracked the performance of an unwieldy basket of stocks, including long forgotten companies like the Thatcher Glass Co., a milk bottle manufacturer, along with such corporate survivors as General Mills, Merck & Co., Caterpillar and Hershey. The body count conducted during the S&P's recent 50th birthday celebration revealed that 86 companies from the class of 1957 still exist. During those 50 years, the best performer among the survivors has been Altria Group, formerly known as Philip Morris, which generated an annual return through December 2006 of 19.88 percent. During that same period, the S&P 500 posted a very respectable annual return of 10.83 percent. What did Standard & Poor's do 50 years ago that was so revolutionary? Because the S&P 500 serves as a proxy for major corporations, investors - the professionals and the novices - can use its performance to size up their portfolios. During the past 12 months, for instance, the S&P 500 Index has generated a return of 15.2 percent. During the three- and five-year period, the benchmark has posted annual returns of 12.2 percent and 8.5 percent respectively. Do you know how well your large-cap mutual funds or your portfolio of large individual stocks did in comparison? If this question stumps you, it's not surprising. All too often, investors fail to look at benchmarks like the S&P 500 to see how their investments stack up. Unless you know what the universe of blue chips has been up to, you can't possibly know whether the performance of your large-cap stock fund has been fantastic, pitiful or something in between. You also need to make these same comparisons with other types of investments. If you own a small-cap domestic stock fund, for instance, you can contrast its stats with the Standard & Poor's SmallCap 600 Index or the Russell 2000 Index. If your funds tilt toward value or growth stocks, there are more specialized indices from the same sources that you can use. Investors with bond funds can turn to the Lehman Brothers Aggregate Bond Index as a benchmark. 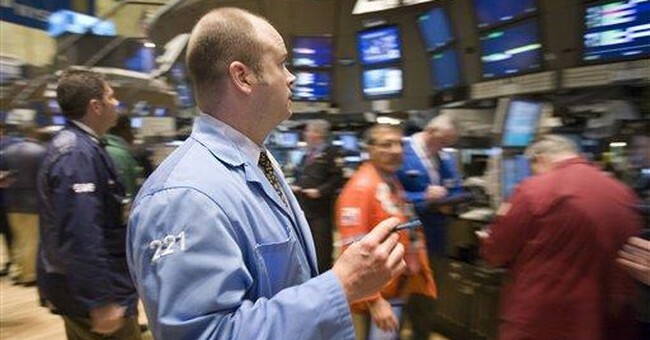 It speaks to the power of the S&P 500 that Wall Street observed its birthday. It's a bellwether for the U.S. economy that is documented closely. In nearly every newspaper, you can find out what the S&P 500 did the previous day. And recently, the index merited its own coverage by inching up to a high it hasn't reached since the halcyon days of the dot-com phenomenon. When I was recently talking to an executive at Standard & Poor's, he complained that the phone wouldn't stop ringing because of the S&P threat to break the record. But an important lesson can easily be lost in all the hoopla. Though the S&P 500 encompasses nearly 75 percent of the U.S. market's valuation, it's not just the big boys that deserve an honored spot in most investors' portfolios. While the S&P 500 has posted an annual return of just under 11 percent for 50 years, the nimble small-cap stocks have won the race by generating an annual return of just more than 13 percent. And small-cap value stocks generated an astounding 17.7 percent. I'm not advocating that everybody drop the newspaper and rush to find a hot, little small-cap fund, which are far more volatile. But you should make sure you are diversified among all the most important investment categories - large and small-cap stocks, foreign stocks and domestic bonds. If you cover all those bases, you won't have to worry as much about the longevity of a famous middle-aged index.